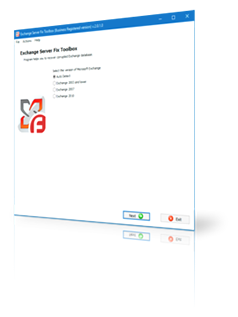 Exchange Server Fix Toolbox is a simple and universal solution for recovering damaged data from Microsoft Exchange Server *.edb and *.stm files. The program reads your non-functioning database and saves the information it finds into separate *.pst files as used by Microsoft Outlook. Each PST file contains only one mail profile belonging to a single user. 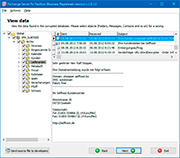 Software fix Exchange Server edb files any size and versions. 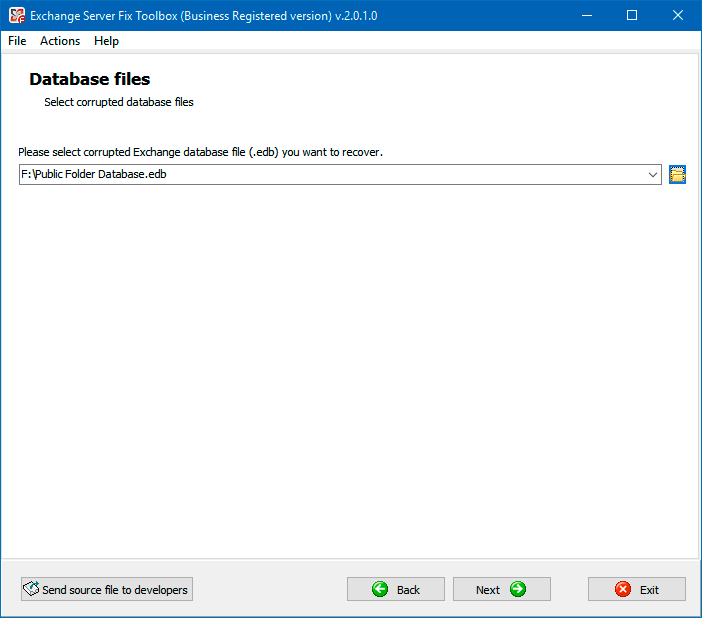 Fix non-functioning databases created with Microsoft Exchange Server 2000, 2003, 2007, 2010, 2013, and 2016. Works with damaged Exchange 2003 *.edb files. Export recovered data into PST files. Export to separate msg files. Preliminary review of recovered information. Recover contacts, messages, calendars, tasks, etc. 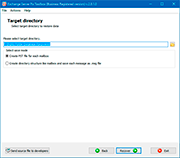 Option to select individual mail accounts to recover and save. Detailed report on the recovery procedure. 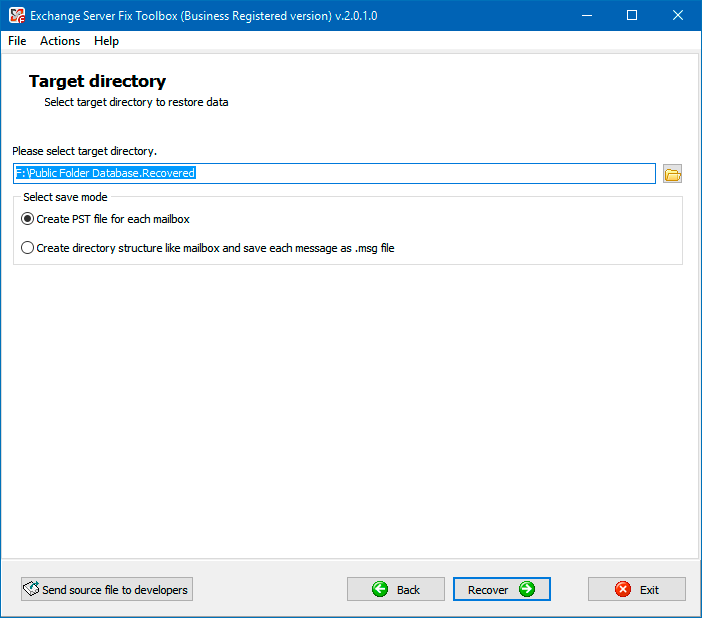 The Exchange Server fix program's interface has been developed on the principle of a simple, step-by-step wizard, allowing you to control the recovery parameters and also to go back to any previous step at any moment in order to make any necessary changes to the wizard's parameters. Note: The program is not licensed under GNU General Public License (GPL) or GNU Lesser General Public License (LGPL). 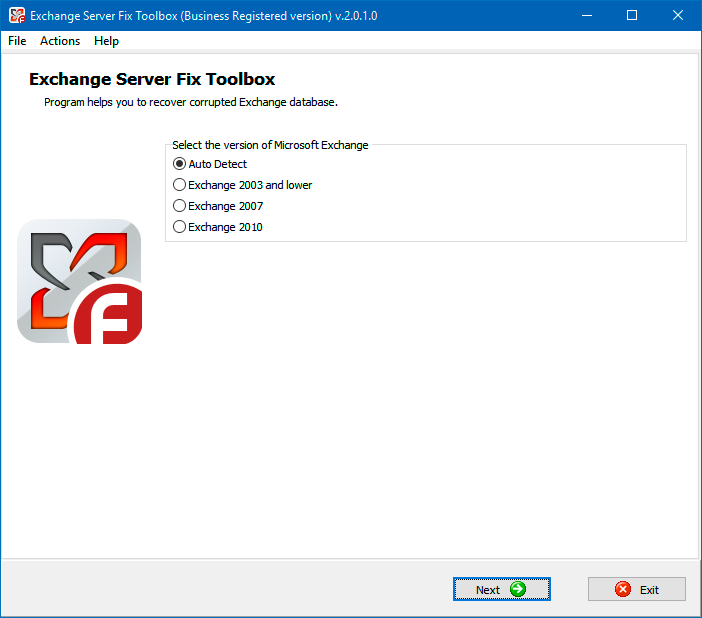 Exchange Server Fix Toolbox is not open source software or a freeware tool. 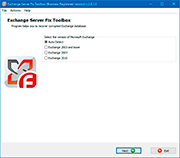 Exchange Server Fix Toolbox is distributed on the try-before-you-buy basis with a free DEMO version. Requirements: You must have a 32-bit version of Microsoft Outlook installed on your computer. 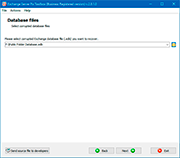 Note: Exchange Server Fix Toolbox does not save data if Microsoft Exchange Server is installed (or has been installed) on your computer. View the structure of the damaged database and select the objects to be recovered. Selection of the output folder.